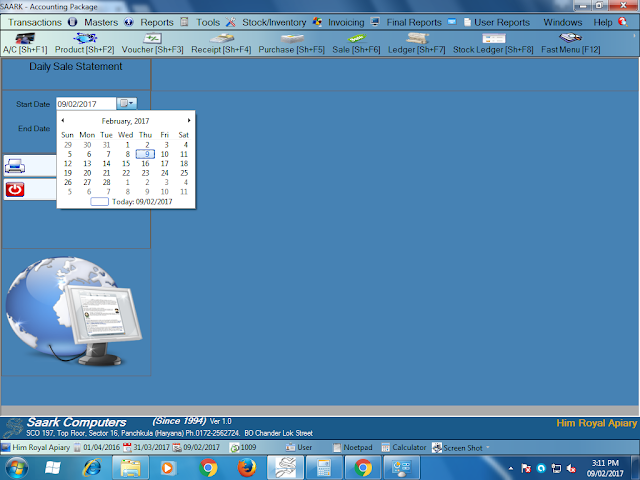 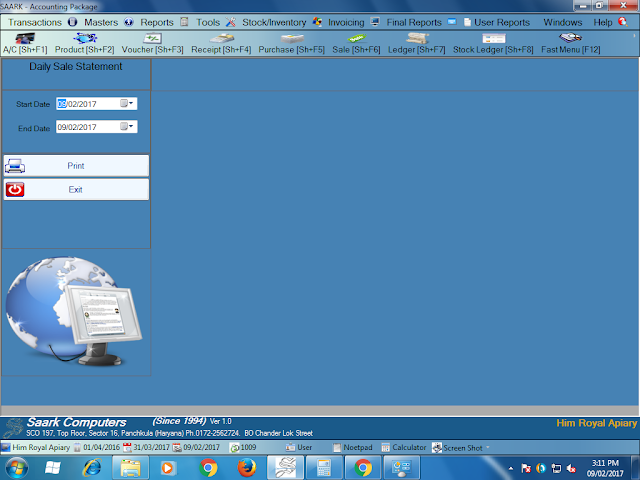 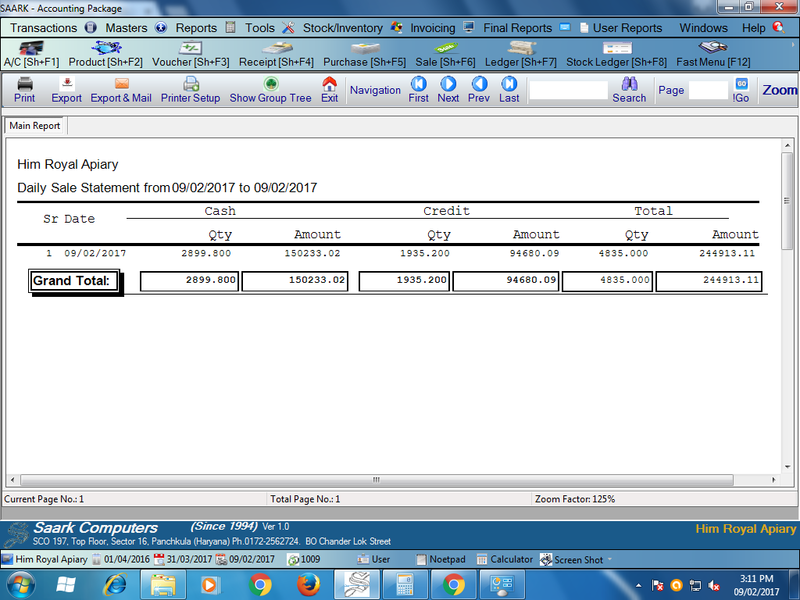 Today I learnt how to check Daily sale statement on saark accounting software. 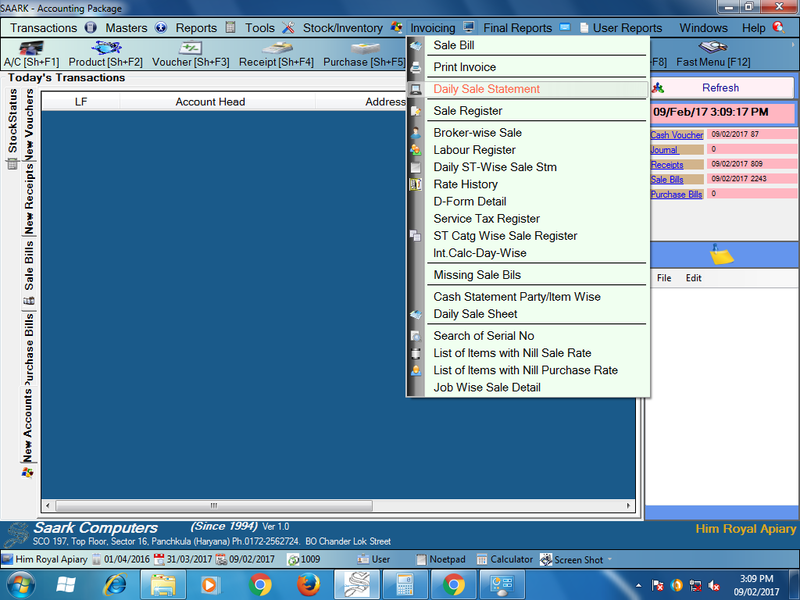 Daily sale statement means reports of daily sale. 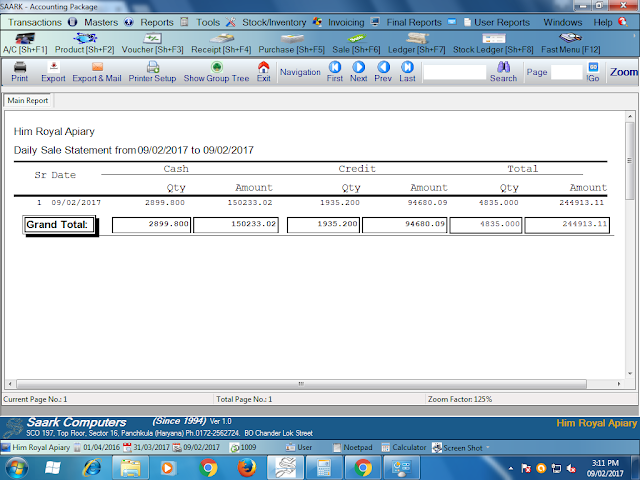 on daily sale report we can check total of daily sale, its included cash sale and credit sale. So let's learn how to check daily sale on saark. following are the main steps for checking the daily sale reports on saark Accounting software.